The Skoda Auto company always comes up with the best in class designs and vehicles with every Skoda Car. This time they have introduced Skoda Kodiaq. Introduced at Paris Motor Show on September 2016 this 5 door 7-seater SUV proves its worth by the advanced set of features and the powerful engine. 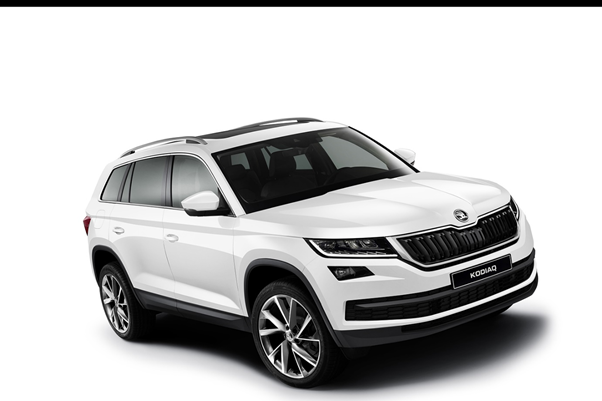 The Skoda Kodiaq comes equipped with many advanced modern features like Area View, Tow Assist, Manoeuvre Assist, Predictive Pedestrian Protection. It features capacitive shortcut buttons instead of physical buttons on an 8-inch infotainment system. The exterior consists of LED Headlights and Taillights with an addition of the much useful Fog Lights. The window frames are also sided with chrome on them. It also equips an auto-dimming rearview mirror and a windscreen defogger with timer. The car is also smart enough to tilt automatically while reversing. The central infotainment system comes with Bluetooth audio streaming through good quality speakers. The car’s interior also consists of a Colour Maxi DOT Board Computer capable with Audio/ Telephone/ Vehicle/ Driving Details of the car. Everything you need there in your reach. The much important engines for a big car like this have to stand their ground when the car hits the road. 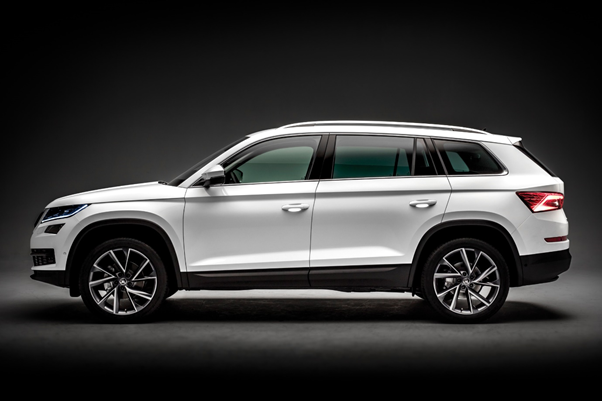 To do this Skoda Auto has equipped the Skoda Kodiaq with a 2.0 TSI 130 kW 4×4 engine in its petrol variant. It is capable of providing a power of 130 kW at 3900-6000 rpm and a maximum torque of 320 Nm at about 1400-3940 rpm. The car runs approximately 13.69 km per liter of petrol. The diesel variant, on the other hand, runs on a 2.0 TDI 140 kW engine giving 140 kW at 3800-4000 rpm power and a peak torque of 400 Nm at 1750-3250 rpm. The mileage count for the diesel engine is 16.25 kmpl approximately. The stuffed and powerful car not only gives you optional variants in the fuel and engine department, but the customers can also choose from a list of four perfect color schemes the car comes in. The colors include Lava Blue, Magic Black, Moon White, and Quartz Grey. All four colors give a different design and a different look to the vehicle and all of them look amazing anyway. It is completely your decision to choose which color suits you the best. 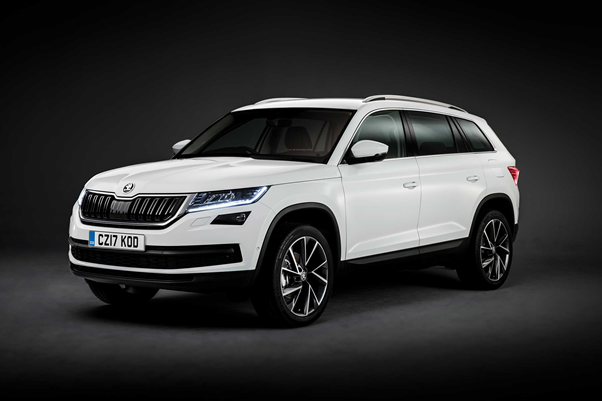 Skoda Kodiaq price starts at about Rs. 34.5 lakhs (ex-showroom Delhi) for its diesel variants. Although it may sound a bit much, the car proves its worth once it runs on the road whether it be a comfort of power. All of it together feeling incredible. All of it in your hands. For convicts, it’s hard to get car insurance. The reason is that insurance companies think that convicted drivers are a financial risk because these drivers are more likely to have an accident down the road. So, the chances of convicted drivers making a claim are higher. There are some specialized insurance companies that offer insurance for drivers who were convicted of a criminal offence in the past. Many of them offer insurance to those who committed other violations, such as burglary. Some insurers provide coverage for those who break motoring laws as well. We suggest that you look for an insurance company that meets your financial needs. If you need a basic insurance, we suggest that you take into account the third party insurance. However, you need to keep in mind that this insurance covers damages caused to the property of other people. And the damages may have an effect on the Secondhand Cars. Moreover, the third party insurance won’t include damages to the vehicle or convicted driver. Another type of insurance is Third Party, Fire and Theft. It provides protection with the convicted drivers in case of claims made by another driver or party. This will give you protection even if your car is destroyed or stolen. The third type of insurance policy is known as comprehensive cover. This includes both of the types of insurance described above. Keep in mind that the policy will provide coverage for the cost of the car of a convicted driver if the car faces an accident because of the fault of the driver. Once you have got the insurance policy, you may want to keep the insurance premiums low. You can do this in many ways. For instance, you can raise your excess which is the part of the insurance claim that will be paid by you. Make sure you don’t increase the excess too much or you won’t be able to bear the cost. Another way of reducing the cost of the insurance is to drive less. Since the cost of premiums is based on the mileage of your car, you can keep the cost down by reducing the mileage. The third way of reducing the cost is by keeping your vehicle safe and secured. For instance, you can keep your car in a garage. You can also consider an approved alarm if you can afford it. Aside from this, you can consider a black box policy to cut down on the insurance premiums. All you have to do is get a black box installed on your car. Long story short, if you are a convict, we suggest that you consider a convicted car insurance policy. A car has become a basic need of families now-a-days. You can see many small, big, different models and companies cars rushed on the road around all the cities. We all know that a good car comes under a luxury item and no one wants to spend money on this on daily basis. Could you afford to buy a new car because one you had damaged or stolen? Yes answer is most of the people can’t. So there is a solution to protect your favorite and needed car- the car insurance. It is a type of a contract between the car owner and insurance company. In this contract car owner pays the premium and the insurance company pays the losses or theft of car. A car is often a high expense and you want to insulate it. So insure your car and feel safe to roam around! The aim of such insurance is to serve the victim. It pays to repair all types of damages such as weather damage, flood damage, fire damage and animal smashups. If your car is wrecked due to any mention damage in insurance papers, company will provide you amount for the relevant damage. Same as its spelling “insurance”- it insures peace of mind to deal with daunted bearings that completely hooked with budgeting. Unforeseen situations can happen anywhere with anyone but this type of investment keep your mind peaceful in such situations. It brings immediate relief from stress and survives in such incidents. Could you purchase a new car because the one you had is pilfered? It’s difficult to bear a loss of theft of your favorite or luxury car. But you may feel recline from the fear of theft if you have insured your car. The company from where you have purchased insurance compensates you the value of car that was stolen. Car insurance is an easy and fast process to protect your car. You can purchase or renewed insurance online that is an easy and fast process. It is accessible by anyone as per the time and convenience. Premiums and claims may different according to company’s policy. It totally depends on which type of policy you want to buy. But it is easy to pay premium because companies will provide you online facility to access all information. If you do not claim during the policy period No claim Bonus will offers you renewable policy in certain terms and conditions. Car insurance contributes to legal, mental and financial peace which makes driving, buying or owning a car easy. It is a best way to boost broad coverage against debt you might face due to car theft or damage. Are You Guilty When It Comes to Road Rage? As per a national auto club, just about eighty percent of American drivers admit to angry driving tendencies at one time or other. It is particularly shocking to discover this from the report: nearly eight million vehicle operators say they demonstrated certain forms of road rage. This included ramming into another car on purpose and getting out of a vehicle to confront another driver in a menacing manner. How would you rate yourself in regard to the above? Go through the list below characterizing aggressive driving and check off any point that defines your own driving habits. Does any of the following describe your actions while driving a vehicle? • Have you tailgated another car or truck on purpose? • Have you driven significantly over the legal speed limit? • Have you run through a red or amber light? • Have your Snaked in and out of cars and traffic? • Have you raised your voice and screamed at another driver? • Have you slammed on the horn and honked to show your anger at another motorist? • Have you demonstrated your frustration and rage through hand gestures? • Have you tried to prevent another driver from changing traffic lanes? • Have you deliberately cut off another driver? We all get angry at one point or another. This is because we are all human and humans by design are not perfect. Nonetheless, anger that is unchecked can be a very dangerous emotion, leading to actions that are later regretted. Of course, when anger is evident in driving, the danger is so much greater. It can lead to hostile actions that intimidate, bully or incite others on the road and result in physical losses and damages as well as injury and the tragic loss of life. For the aggressive driver that thinks auto insurance may bail him out of liability, in general this is far from the truth. In fact, the insurance providers do not take any responsibility for motorists that deliberately use dangerous or illegal modes of driving. The same auto club that conducted the afore-mentioned study concludes with some sage advice. 1. Don’t ever provoke another motorist to retaliate by compelling him to change speeds or directions. 2. Be tolerant of other drivers’ and don’t allow yourself to get angered by another driver’s actions. 3. If another driver displays anger on the road, do not respond by making eye contact or gestures. Try to stay at a safe distance and if you feel your safety may be compromised, contact police. Auto Insurance is expensive enough. You do not need a traffic ticket to make your premiums go up even higher. That is why it is important to drive carefully, courteously and within the legal speed limits. This way, you will give no reason for a police officer to pull you over and hand you a summons in regard to irresponsible driving patterns. You may wonder. The ticket itself involves a fine. Why would you be penalized any further by your insurance company? To be honest, your insurance company is not interested in punishing you. They are solely out for their own interests. When they see you have been convicted for a moving violation, they view that as a peril to their operations. Traffic violations demonstrate to the insurance company that you are at more risk of being a part of a car accident or collision than someone that has a clean driving record. A car accident, in insurance terms, means there will likely be a claim that they will cost them money. The insurance company balances the risk of an auto accident claim with a raised premium or added charge. Of course each company gauges its response to a poor driving record individually. By and large though, they have a team that looks at the general behavior you have exhibited when you are behind the driving wheel. And when deciding the amount of the rate increase, the insurance company will consider the severity of the traffic violation. So, if you are committed of drunk driving, you will find yourself up against an extremely strict reaction in regard to a rate increase. If you have merely been ticketed for a broken headlight, judgement meted out against you will be mild. And if you have been found to be speeding 15 miles above the city limits, you will get a higher increase than if you would have been speeding only five miles beyond the posted mileage. People often ask about parking tickets. For the most part, the motorist who receives a parking ticket need only worry about paying that ticket. The insurance company will not raise your rates if they see that you are responsible about your bill and they do not view a parking summons as a concern in regard to your likelihood of being involved in a car crash. The line of thought goes far beyond a car. Whether you drive a truck, van, motorcycle or other type of vehicle, your rates can go up if you have been convicted of a moving or speeding violation.